Kingdom of the Blind is another sublime entry in the long-running Chief Inspector Armand Gamache series set in the mythical town of Three Pines, a suburb of Montreal. This is the fourteenth book and unlike some other police procedural murder-mysteries the sequential order is VERY important as the passage of time and events from earlier books very much influences the story. These books must be read in order for the greatest effect and thus that makes it difficult to write a review of this book without spoiling the earlier ones. As I have said before, I believe that one of the key factors in how strong a series is (or will be) is the complexity of the supporting characters. Louise Penny has done an amazing job of populating the Gamache series with a number of supporting characters who have large, distinct and memorable personalities. These have become familiar (and perhaps a little rote) over the course of the series. That being said, in some books these “supporting characters” have become main characters and generally the books where this occurs have not suffered from their promotion. Another thing that Penny has done well is create new characters and added them to the mix, and these characters have grown and been incorporated into the stories in increasingly interesting ways. 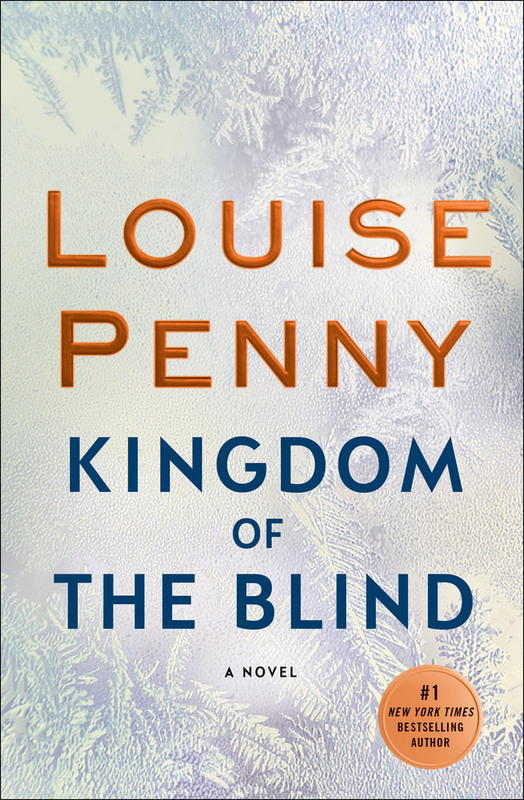 In Kingdom of the Blind there are really three main protagonists, Gamache, Jean-Guy Beauvoir and Amelia Choquet. Beauvoir and Gamache have been a team from very early in the series but Choquet has only been a presence in the last few books. Of course, all our favorites from past books, Ruth, Rosa, Clara, Myrna, Reine-Marie, Gabri and Olivier make appearances, mostly as cameos (unfortunately). This time the primary mystery is about the will of a crazy old lady who despite being apparently penniless leaves inheritances of millions of dollars to her three kids. Myrna, Gamache and a handsome young stranger are named executors of her estate despite apparently having no connection to the deceased and we and they first need to solve the puzzle of why this woman decided on them as her will's executors. Soon after the will is read publicly there’s a murdered corpse to add to the story and off we go. Overall, I would say that is a better than average entry in the Gamache series. The primary murder mystery is interesting (but actually not too difficult to solve). As with most of her best books, the most salient aspects of the story involve events which happen to our protagonists (especially Gamache and Beauvoir) that will have long-term impacts on these characters lives, insuring we continue to connect to, and emphasize with, them. Title: Kingdom of the Blind. Date Read: March 8, 2019.